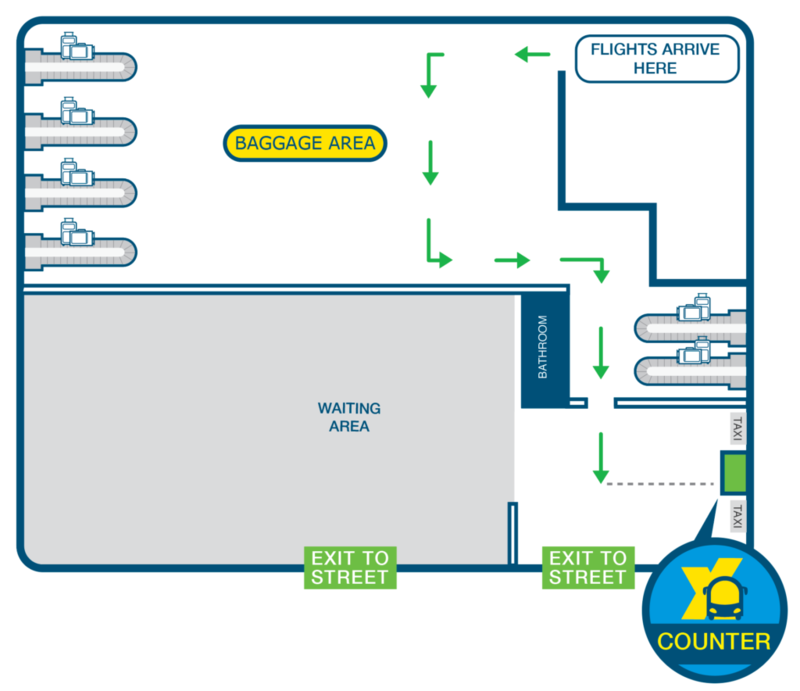 We have two ticket counters inside the airport, one at international arrivals, and the other at domestic arrivals. 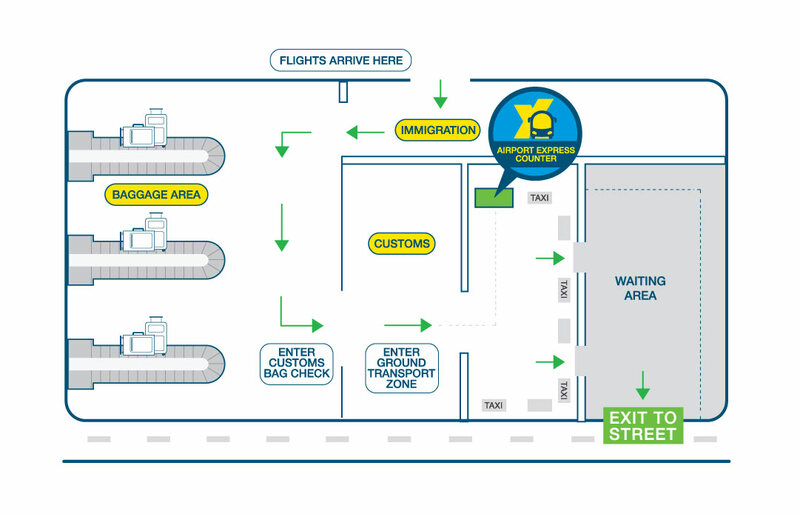 Here, tickets can be purchased with a credit card (VISA or MASTERCARD) or in cash (SOLES, US DOLLARS or EUROS). 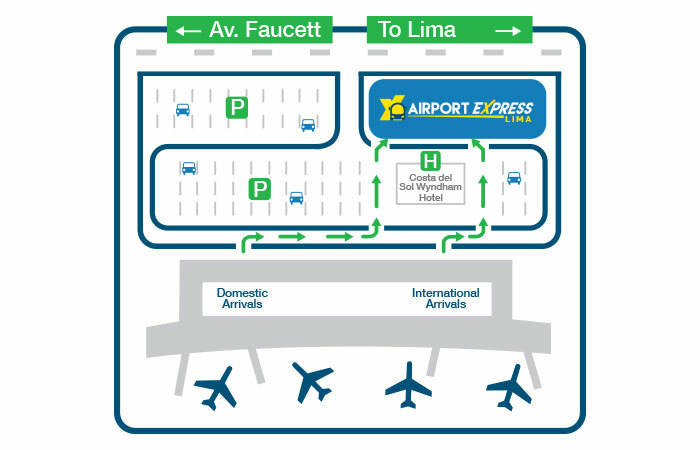 Below you can find a map of our counters, as well as a map of our bus stop at Lima Airport. 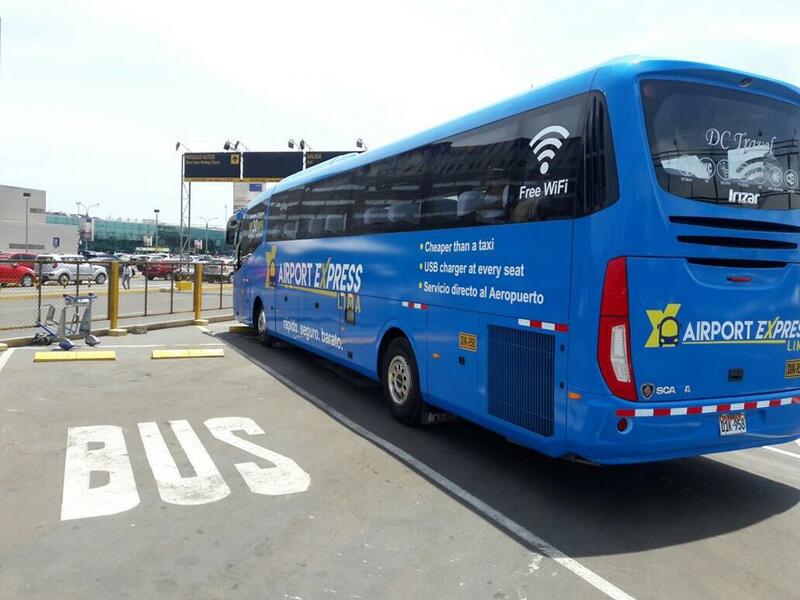 The Airport Express Lima bus will be waiting behind the Wyndham Costa del Sol Hotel, located inside the parking area of the airport.